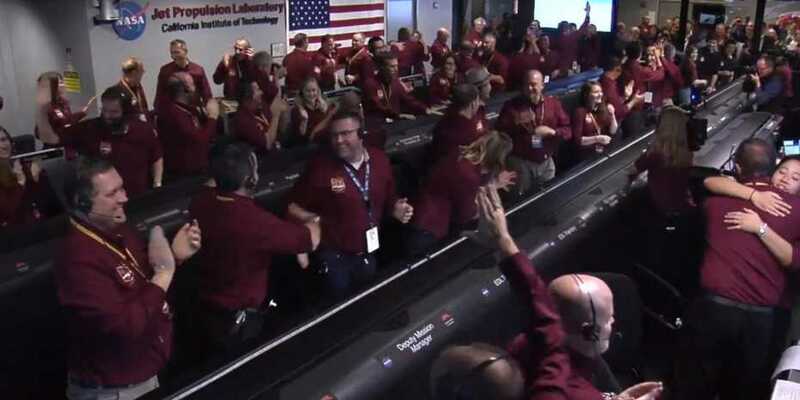 Scientists involved in NASA’s InSight Mars mission can breathe a sigh of relief and celebrate: yesterday evening at 20:53 Swiss time, the InSight lander touched down on Mars. 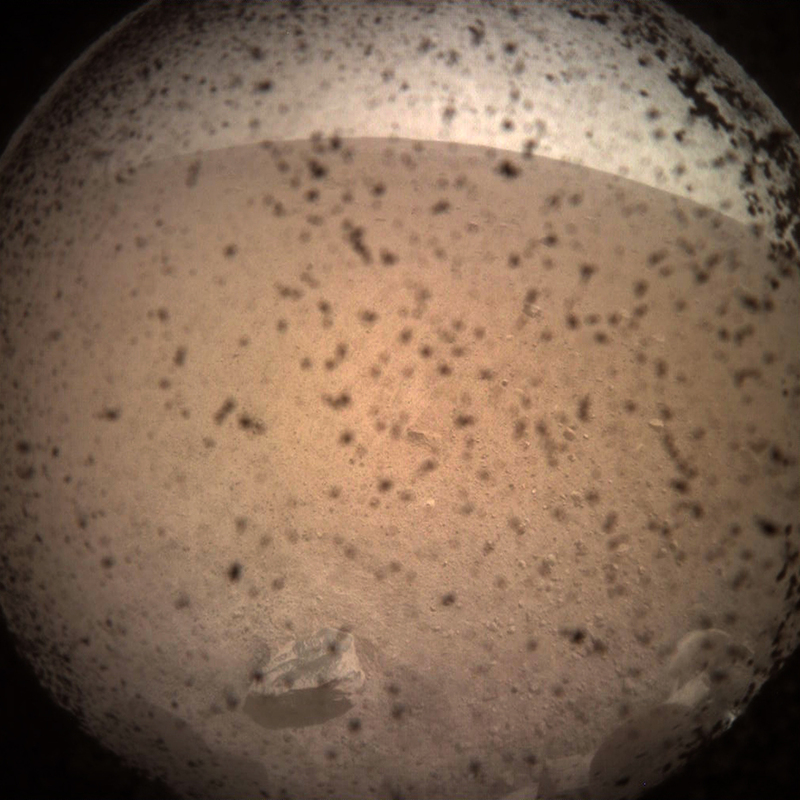 The first signals and images from the lander have been received and the scientists will be testing the instruments intensively over the next few weeks. 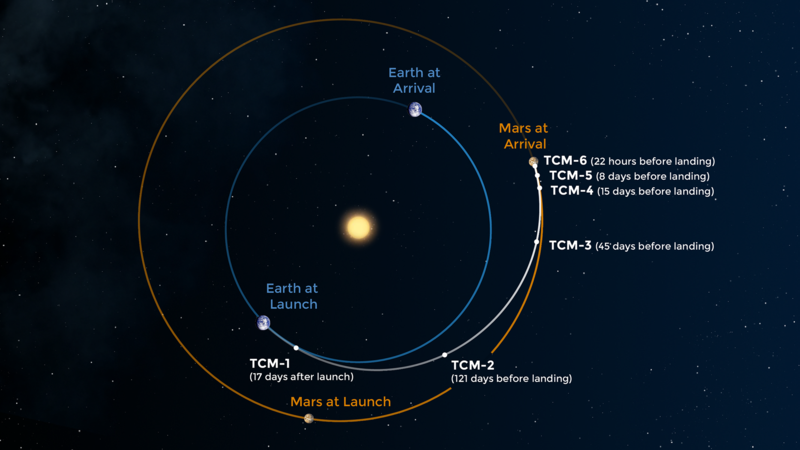 The InSight mission has reached another milestone: after spending over six months flying through space, the spacecraft entered the thin Martian atmosphere on Monday evening, deployed a large parachute as it commenced its descent and then fired its retroboosters to slow its descent further allowing it to make a soft landing on the Elysium Planitia plain. The entire landing manoeuvre took just six minutes. The spacecraft was launched from California on 5 May 2018 on an Atlas V launch vehicle. It covered a distance of 485 million kilometres at a speed of over 10,000 kilometres an hour. “I am delighted and relieved that the landing has gone so smoothly,” says Domenico Giardini, Professor of Geophysics and Seismology at ETH Zurich, who is responsible for the Swiss contribution to the InSight mission and followed the landing live in California. Giardini and his group are involved in the InSight mission in a number of ways: the Aerospace Electronics and Instruments Laboratory at ETH delivered the highly sensitive electronics for the SEIS seismometer, which is now being prepared for deployment to measure marsquakes. Together with seismologists from the Swiss Seismologial Service, the group will run a Marsquake service charged with the analysis and characterization of the data from SEIS. 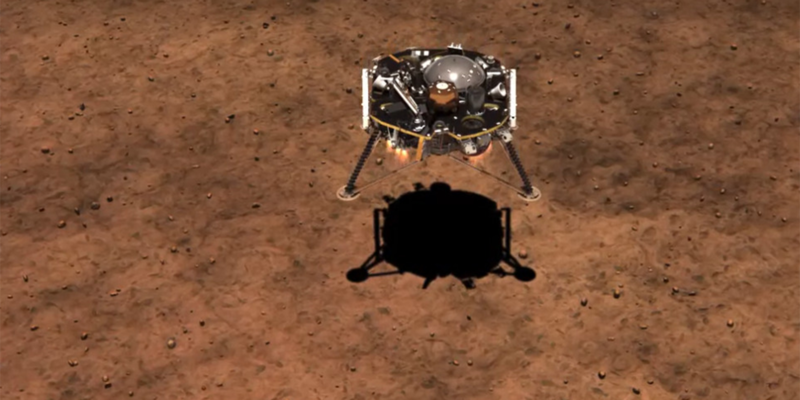 In the first days after landing, the InSight lander will record images of its surroundings. The researchers will use these camera images to search the lander’s surroundings for an ideal location for two of the three scientific instruments, including the SEIS seismometer, which they will place on the surface with the aid of the robotic arm in the coming weeks. 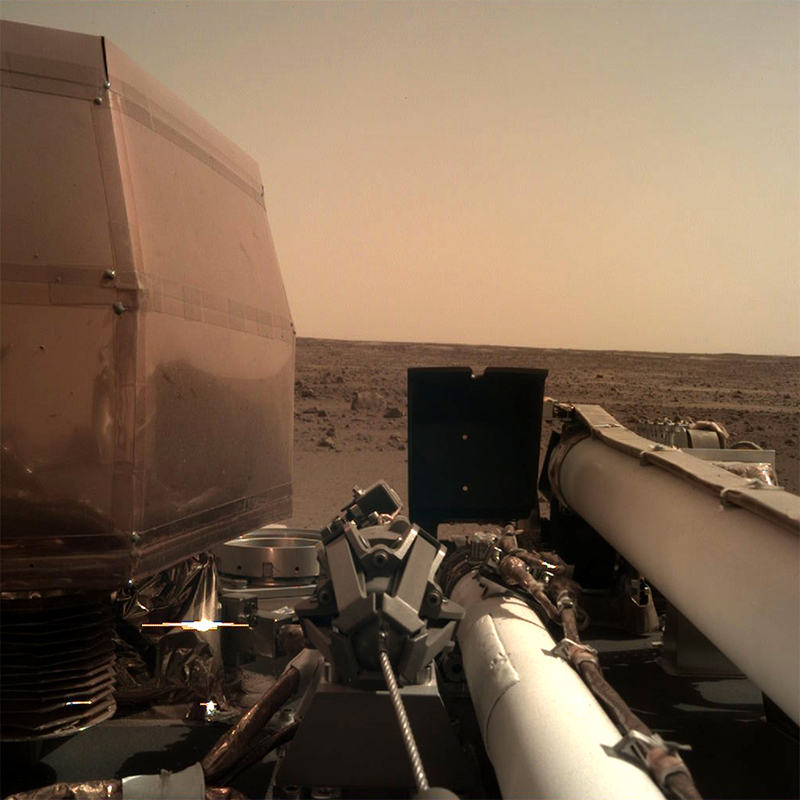 The scientists will start taking marsquake measurements in January 2019. Data will be transmitted to Earth twice each Martian day. The mission is scheduled to continue for a full Mars year, i.e. until November 2020. The key aim is to use the seismometer to record waves released from marsquakes triggered by meteorite strikes. From these seismic measurements, researchers can make deductions about the red planet’s inner structure and composition – and draw conclusions about the formation and history of Mars and other rocky planets in the solar system, including the Earth. The lander uses cutting edge instruments, to delve deep beneath the surface and seek the fingerprints of the processes that formed the terrestrial planets. It does so by measuring the planet's "vital signs": its "pulse" (seismology), "temperature" (heat flow), and "reflexes" (precision tracking). This mission is part of NASA's Discovery Program.